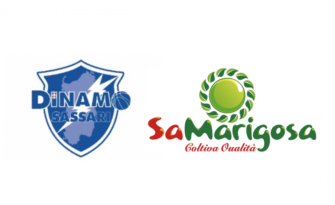 The Sa Marigosa's mission is to produce quality, which is why committed to the development of an "QUALITY WIRE GREEN", namely, the establishment of a traceability system from production and processing of products, until their marketing. The green wire is achieved through more technological production processes that guarantee food safety, maintaining a high work ethic, attention to energy conservation and waste management. Core business of the company is to ensure the best quality of fruit and vegetables through the careful control of all stages of the production chain. 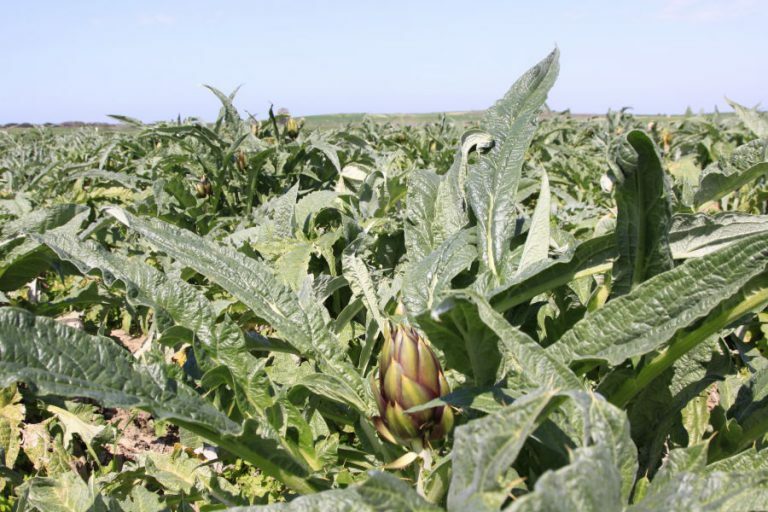 The love for the products of Sardinia is the key ingredient of crops which has allowed the company Sa Marigosa to become today the most important organization of melon and watermelon producers in Sardinia, with high artichoke production of different cultivars, including stands the thorny artichoke, leader of the Artichoke Consortium Spinoso di Sardegna Dop. 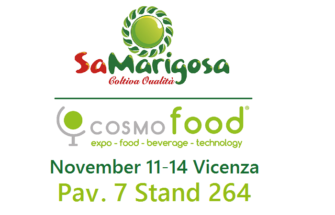 In 2008 with the start-up of the Organization of Manufacturers Sa Marigosa Consortium, it is developed the air-conditioning and marketing activity that takes place, as well as at regional level, mass merchandising, the central and northern Italy. The element that has always characterized the agricultural production OP Sa Marigosa, is the strong link with the territory. The Sinis Peninsula, with its specific soil and climatic conditions, has a fundamental role in the production chain that Op Sa Marigosa uses for obtaining the quality objectives and the quality of its products. 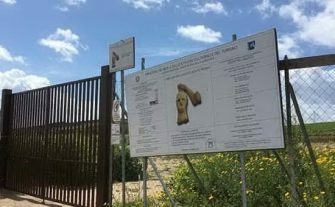 The particular shape of the land cultivation that extends between the pond of Cabras and the Gulf of Oristano, has limestone origins and therefore enriches the products of a particular salinity, giving it a unique flavor and aroma, with a high natural content. The cultivation is practiced mainly in the open field, following disciplinary of integrated crop production precise, and using the most innovative cultivation techniques to produce fruit and vegetables quality and enhance the typical products of Sardinia western center, have highly competitive organoleptic characteristics . The O.P. Sa Marigosa, cultivates its products with the love of all time, where the land is fertile and passion for agriculture combines tradition and innovation, using the most innovative farming techniques and the latest technology, to produce quality and improving production original indigenous, non-reproducible elsewhere. The Sa Marigosa OP finalizes substantial resources to support skills and to optimize the theoretical knowledge of its operators following a self-control plan that provides for the adoption of the local hygiene programs and specific procedures for the conditioning, storage and distribution cycle for the safeguard of staff health. The production cycle begins and ends in the company, from planting the seeds in the greenhouses and nurseries, up to the sowing and harvesting of Sinis' typical products. 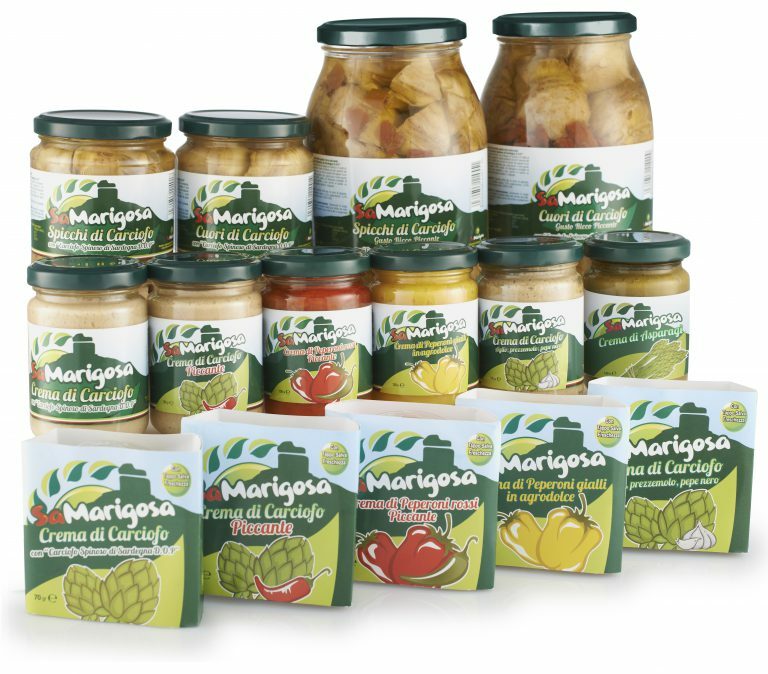 Within a 2,000 sq.m warehouse, Sa Marigosa provides for the processing and packaging of its products which, thanks to modern calibrating, brushing and labeling machines, prepare the products for sale to the final consumer. It is the company's intention to further enhance the brand through the implementation of a marketing plan to promote the image of its products through constant packaging innovation, institutional advertising and promotion on the market. FROM FRESH TO OIL PRESERVED PRODUCE, WE DON'T MAKE PRESERVES, WE PRESERVE OUR PRODUCE. The transformation of fruit and vegetables is becoming more relevant in the modern market, and particularly in large areas of both wholesale and retail distribution chains. The Sa Marigosa OP is a partner offering highly competitive services with products that maintain an optimal price-quality ratio. In particular, the transformation process foresees the phases of acquisition and sorting of the raw material, conditioning and packaging of the finished product, up to the processing of the IV range. 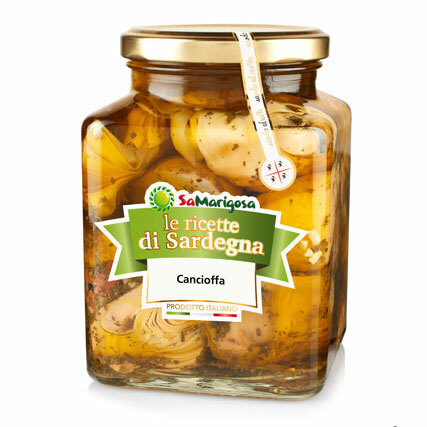 The new Line of preserved products stem from a rooted company philosophy since its inception which is, the concept of Quality of fresh products, that with preserved vegetables, also extend to the finished product. The fruit and vegetable production collected in our fields, are processed in the Riola Sardo fresh produce plant and moved swiftly to the Ussaramanna transformation plant, where, in the shortest possible time, the produce is transformed with care and in full compliance with sanitation standards. To optimize movement between fields and conditioning centers, and the transport management in the delivery of goods to customers, the Sa Marigosa O.P. activated a division dedicated to the logistics management that works on different operating areas: from the receipt of transport orders, to the planning of withdrawal from the packing center up to delivery to the final destination. It is a structured centralized office, offering a service for regular and safe fresh fruit and vegetables handling. Thanks to this service, all members are able to improve their internal organization and streamline the economies of scale for movement of goods within the supply chain.